Alessa and Elaina would always remember that day. Alessa would remember it more clearly as she was nineteen, while Elaina, her pupil, was just about to turn four. It was early summer, a time of warmth and growth in the kingdom of Arra. In those days, Elaina would only spend nights and mornings at the farm with her caretakers Lairen and Shelly. Each day, after lunch, Alessa would arrive on her black mare Coramel, exchange a few words with the couple, and then bring Elaina back to her comfortable home in the woods, returning the little girl to the farm at bedtime. That day there had been a break in the routine. Shelly had gone into labor in the morning, and the midwife and Lairen had been shut up in the bedroom with her all day. Alessa and Elaina had decided to wait in the living room for the baby’s arrival. Elaina was anxious to see her new housemate, and refused to leave until he or she had come out of Tita Shelly’s belly. Alessa hadn’t glossed over the details of childbirth with Elaina. After all, it was Alessa’s job to teach Elaina, and there was no point giving her only pieces of the story. At nearly four, Elaina was years ahead of others her age in understanding the world around her. Still, Elaina found it hard to believe that a baby could fit through a hole so small. “But it clearly hurts her,” Elaina said, as another muffled cry emanated from the bedroom. “When I grow up and have babies I’m going to find a better way.” Elaina played with the ends of her dark brown hair, which was reasonably long at that time. They went back to their game of “guess the animal.” Elaina had memorized the names and facts about all of the mammals in Arra, and Alessa was quizzing her. Soon they were thinking about the yellow-maned wildcat, the dreary vole, the white-tailed deer, and the ruby fox, and they almost didn’t hear Shelly’s moans anymore. But when the baby’s cry finally came, they stopped their game abruptly and started listening. “Can we go see it? Huh?” Elaina asked. “I really hope it’s a girl baby,” Elaina said. The newborn kept crying for a few minutes, but then, strangely, there was yelling in the room as well. It was a man’s yelling: Lairen. This was clearly unusual, but Alessa tried to appear calm. When they heard Lairen scream, however, both Alessa and Elaina nearly jumped out of their skin. Lairen was a kind, older gentleman. He never screamed. His screams turned to wails. Deep, mournful wails that would cause anyone’s heart to drop to the floor. Alessa had no idea what to do. She didn’t want to rush in there without being called for. And she certainly didn’t want to drag Elaina into an unknown situation. Alessa and Elaina slowly got to their feet. Suddenly the midwife burst from the room in tears, with a look of panic on her face. She was carrying a crying baby wrapped up in a blanket. The baby was all red and slimy, but there wasn’t anything clearly wrong with it. The midwife fell to her knees and began hyperventilating. Alessa ran to her and asked, “What’s wrong?” The midwife didn’t acknowledge Alessa’s presence. She just stared straight forward. Alessa turned around and realized at once that she had failed in her child-watching duty. The curious Elaina was already entering the bedroom. Elaina saw this: Shelly, the lovely woman who had taken care of her every morning, was completely naked on the bed. Blood coated her lower half and was smeared up her belly, and was all over the bed, and dribbling onto the floor. Shelly’s mouth was open, and her eyes were staring at Lairen, who had his back to her, and who was sobbing and wailing and pounding the top of the dresser with his fists. Shelly wasn’t moving—she seemed frozen in an awkward pose, like a doll that someone had dropped carelessly onto the bed. Alessa was in shock. Only after her brain finished taking in the terrible scene did she notice that Elaina was again no longer beside her. She turned and saw a glimpse of Elaina at the far end of the living room, running off into the kitchen. “Elaina, stop!” Alessa called out. Nearly stumbling over her own feet, Alessa started after the little girl. Elaina yanked open the back door and ran across the yard, sending the chickens scattering. The sun was low in the sky. Elaina didn’t know what exactly had happened in that bedroom, but she knew it was awful and she had to get as far away from it as she could. And this little girl was fast. Even without her shoes. She ran through the old barn, which still had all of its doors open. As she stepped in a puddle where Lairen had washed something in the morning, her foot seemed to get stuck in it and she fell hard onto her cheek. She got up quickly, not looking back, certain Alessa was chasing after her and was going to stop her, when she wasn’t ready to be stopped. She continued out the back door of the barn. She ran into something else that could have stopped her: the fence separating the farm from the vast southern forest beyond. But Elaina was strong and nimble. She scaled the fence and leapt from the top of it into a bush. It scratched her all over the place, and she bounced off it, landing on her back on the peaty forest floor. She shook this off too, and kept running, pushing her way through the foliage. Her thoughts came back to that image of Tita Shelly, and her spooky open eyes, and her mouth, frozen open as if she were yawning. And all the blood! Elaina finally started to cry. 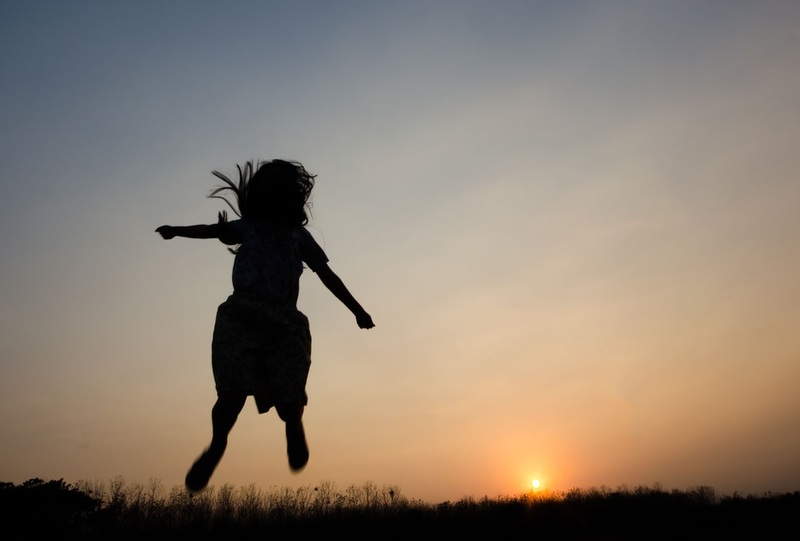 She ran and ran, without a clue where she was going, and eventually she started to get tired. Slowing a little, she looked back to see if Alessa was after her, and she couldn’t tell, so she stopped completely to scan her surroundings. Her nose was filling up from the crying. Her heart was thumping. Elaina had spent many hours in the forest, but never alone. She hoped there were no wildcats lurking about. Where was Alessa? She didn’t even hear Alessa calling for her. Four-year-olds tend to be focused on the moment, and for Elaina this scary moment quickly began to worry her more than the scary moment back at the farmhouse. I’ve changed my mind, Elaina declared in her mind. I want to be found. Find me. Pleeeease find me! She raised her hands and twirled around so Alessa could see her better. Someone would come for her for sure, she thought. She should be easy to spot there in her white shirt. She decided to stay in place. She waited in the warm silence. Bugs buzzed around her. Birds above chatted and argued about where they would roost. Minutes went by. She rolled up her sleeves and checked out her arms; they were scratched and bleeding slightly. She didn’t care. She would clean them up later. Naked Tita Shelly. Bloody Tita Shelly. And Lairen, wailing! Surely something had gone wrong. It was a young Arran soldier who spotted her first. He maneuvered his horse carefully through the brush toward where Elaina was standing. When she saw him she smiled. This reassured him that she wasn’t going to bolt, but she didn’t look like she wanted to talk either, because right away she clasped her hands together and looked down. He dismounted and knelt before her. She smiled at him again, moving the brown hair away from her brown eyes to see him better. “Alessa thought you might want to go swimming,” said the soldier. Elaina burst into sobs of relief. A swim in Alessa’s pools would mean today could end normally! Catching back up with her evening routine would be quite welcome. He scanned her to make sure she wasn’t too banged up, and then he helped her up onto his horse. He brought her straight to Alessa’s house, where Alessa was waiting outside. Elaina hopped down and embraced Alessa. “I’m sorry for running,” Elaina said, the tears falling. Alessa couldn’t contain her tears either. “You’re safe now,” she said. The minerals in the hot geothermal pool stung Elaina’s scratches, but Elaina didn’t care. This was Alessa’s hot pool. This was a normal evening. “Shelly is dead,” Alessa explained. “What does that mean really?” Elaina asked. “But she’s… somewhere, right?” Elaina asked. Little Elaina breathed out sharply, causing some bubbles, as her lips were just below the water line. “Can I live with you then? In the mornings too?” Elaina asked, wiping the water from her mouth. “No,” Elaina said. “Let’s just swim.” And she paddled around the pool playfully like any almost-four-year-old would. But she had changed that day. A lot had changed that day. Click here to read another Principality Short, “Mandra” about Prince Jaimin’s first kiss! © 2016 R J Francis. All rights reserved. 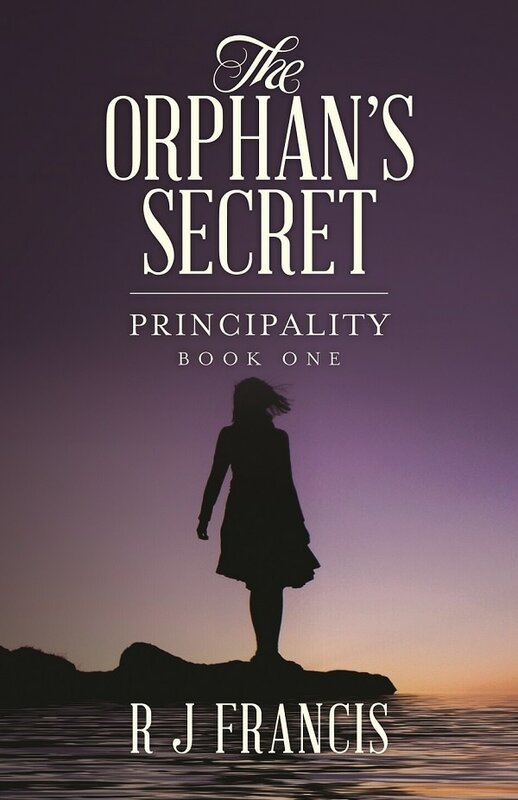 Read more about Alessa and Elaina in The Orphan’s Secret, available in paperback or Kindle. Click here to go to the Amazon.com page. Sign up for this site and I’ll send you a quick email when the next Principality Short is posted!